An efficient gamer is also a seasoned hunter, who by himself decides when to strike the final blow. Clever, persistent, quick and decisive. A proper gaming mouse should always be an essential tool in his hands. 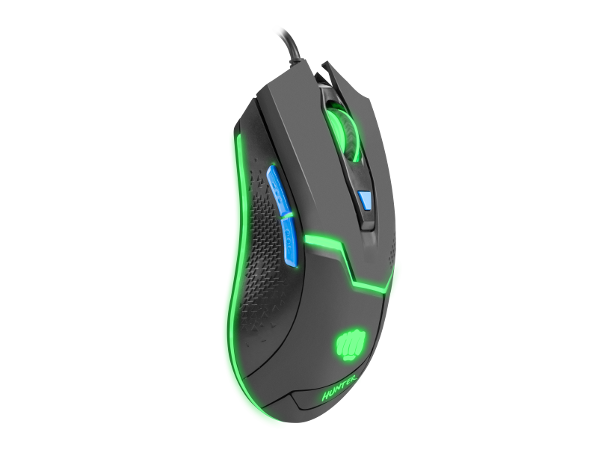 That is the Fury Hunter mouse, which combines durability, precision and ergonomics, increasing the gamer’s efficiency. 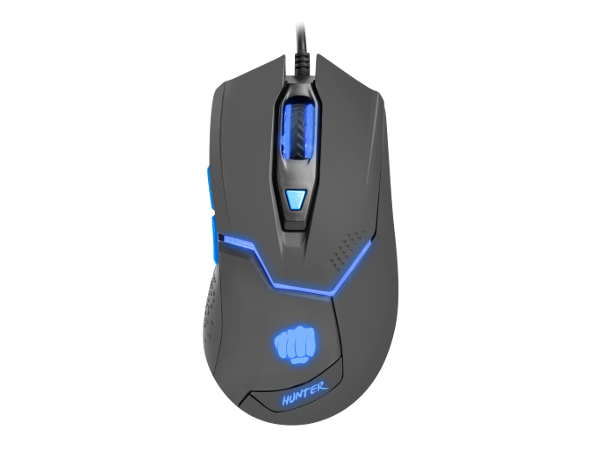 The quality of the Hunter mouse is founded on its precise optical sensor with a maximum resolution of 4800 DPI. Additionally, the DPI level can be switched to one of four levels during gameplay using the DPI Level Switch button. The mouse also distinguishes itself by its high reaction rate of 1 millisecond (1000 Hz). The mouse has a multicolor LED backlight that changes cyclically. The Fury Hunter is also a very sturdy design. The incorporation of Huano buttons with a durability of up to 5 mil. clicks guarantees a long exploitation time. Advanced software allows users to edit profiles and macros, as well as setup DPI change levels. Users gain the ability to adapt the mouse to their own requirements. The surface of the mouse is coted with a layer of rubber, which guarantees a secure grip even during exciting and fast gameplay. Additionally, the mouse is shaped to ensure the most comfortable grip. An effective player is a seasoned hunter who decides when to hit the final blow.